Extra bone is deposited at the oval window, causing reduced movement of the stapes bone. This results in a slowly progressive conductive hearing loss. This may occur in one ear or both ears. The secretion of enzymes irritate the nerve structures in the inner ear, sometimes causing neural hearing loss, tinnitus or dizziness. There is a genetic component and so a patient may have others in their family with hearing impairment. It is somewhat more common in women than men and the disease is often accelerated during pregnancy. Recent research suggests that the measles virus may play a role in causing otosclerosis. How do we treat Otosclerosis? Calcium Fluoride supplements have been shown to help slow the progression of otosclerosis and may help with symptoms of ringing and/or dizziness. Hearing aids are an appropriate treatment for many patients with otosclerosis to help them hear better, especially if the patient is not a candidate for surgery. Surgery for otosclerosis is used to treat the conductive hearing loss caused by fixation of the stapes bone. Surgery will not improve neural hearing loss or dizziness. 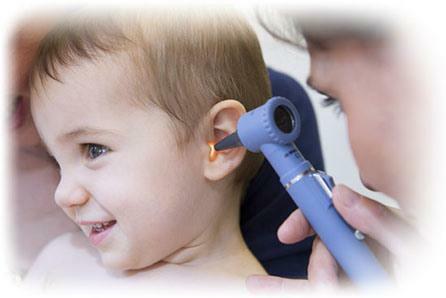 A laser is used to remove a portion of the stapes bone and make a new opening into the inner ear. A prosthesis is placed to act as a new stapes bone and conduct sound into the inner ear. This prosthesis is MRI safe. A small piece of vein is harvested from the patient’s hand to seal the opening into the inner ear.